Its just been confirmed this morning that M-Sport will field a mix of youth and experience in the 2014 FIA World Rally Championship (WRC) as the winning potential of Mikko Hirvonen and Jarmo Lehtinen are combined with the raw talent and ambition of Elfyn Evans and Daniel Barritt. Both crews will take to the Cumbrian firm’s Ford Fiesta RS WRC for all 13 rounds of next season’s championship. 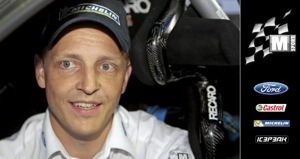 The news that Hirvonen is coming home will bring a smile to the face of many a rally fan. Having started his WRC career with the Ford / M-Sport operation in 2003, the Finn enjoyed eight years behind the wheel of M-Sport machinery and was instrumental in securing Ford’s back-to-back manufacturers’ titles in 2006 and 2007. With fourteen of his fifteen victories claimed with M-Sport’s range of award-winning rally cars, Hirvonen’s return also provides the team with a real contender for rally wins. The Finn is hungry for success. Having finished as vice champion on four separate occasions, he was one of nine-time world champion Sébastien Loeb’s main rivals and missed out on the 2009 championship laurels by a single point. As he and Lehtinen return to the team which delivered the bulk of their success, the squad will be keen to see the Fiesta RS WRC piloted to the best of its potential. Since parting ways with M-Sport in 2012, the two Finns remained a popular crew in the eyes of the M-Sport family, and their homecoming brings a real enthusiasm for the season ahead. Occupying the seat of the sister M-Sport Fiesta RS WRC, is one of rallying’s most promising up-and-coming young talents. 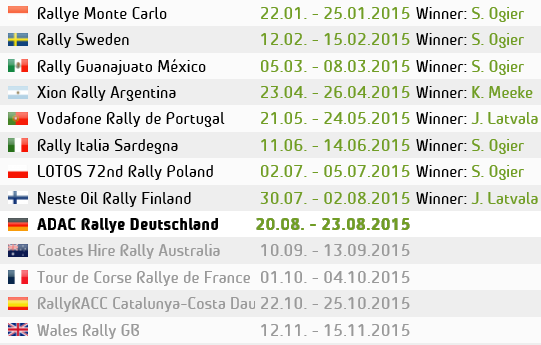 Evans’ breakthrough performance in 2013 saw him elevated to the top of WRC competition. The Welshman showcased some impressive pace in the WRC 2 category, but it was arguably his performance at Rally Italia Sardegna which saw him stamp his authority on the world stage. A world rally car debut is no mean feat, but when combined with unknown stages, an unfamiliar co-driver and a mere two days of preparation, the youngster’s sixth place finish was a revelation which saw him join an elite group of ‘rookies’ to have impressed to such an extent on their world rally car debut. Working closely with the team, Evans and Barritt will be given the opportunity to learn from their team-mates’ expertise whilst refining their own pace and experience ahead of a prospective long-term campaign with the Cumbrian firm. In 2005, Ford and M-Sport set out to create an effective ‘Ladder of Opportunity’ through which rallying’s brightest talents might progress to the pinnacle of the sport. Evans provides a near-perfect example of that system in operation. The youngster started his career with the Ford / M-Sport partnership in 2007, winning the Ford Fiesta SportTrophy series in both the UK and Ireland. Progressing from the Ford Fiesta ST to the globally successful Ford Fiesta R2, it was not long before he was a regular on the WRC stage – winning the 2012 FIA WRC Academy Cup with a dominant display on both gravel and asphalt. The WRC 2 category swiftly followed with some inspired performances behind the wheel of the Ford Fiesta R5, and in 2014, the Welshman will complete his ladder of success by lining-up for a full season in M-Sport’s top-specification Fiesta. “To be back in a Ford Fiesta RS WRC, it really feels as though I am coming home. The last two years were really good for myself and Jarmo [Lehtinen, co-driver], but although we will take a lot of good memories with us, we didn’t necessarily achieve what we set out to do. Joining M-Sport will give us a good chance to try again – a fresh start in a car we know we can be competitive in. We are motivated to win, and we are in the best possible place to do that. “It is an absolutely fantastic feeling to know that I will be driving a world rally car for a full season next year! Last year was a real development year for us, so it is great to be able to take the next step in my career and for myself and Dan [Barritt, co-driver] to really progress within the team. The great thing about this programme is that it gives us time. The whole team is behind us and we have a long-term plan to get to where we all, ultimately, want to be. This is just the first step and I am extremely grateful to Malcolm [Wilson] and M-Sport for this opportunity and their belief in my future. “We have pitched a combination of youth and experience for our assault on the 2014 FIA World Rally Championship. Mikko [Hirvonen] has always been a very popular member of the team. He has done well here [at M-Sport] in the past, and he provides us with the potential to battle for victories at a number of events throughout the year. We all know what he is capable of behind the wheel of a Fiesta, and he has lost none of his ambition and determination to win.